Rider Tailgate Lowering Links, Patent Number 8,070,206, are a product that allows you to use your tailgate in a lower position. For many applications, the tailgate can be lowered between 3 and 5.25 inches without any modification to your pickup truck. The lowering links are installed by simply detaching the end of the tailgate support cable from the bedside and inserting the extension links between the support cable and the bedside. For Ford Super Duty and Chevrolet and GMC Heavy Duty (HD) Truck owners and dealers that are upfitting their late model trucks with bed slides such as CargoGlide® and other cargo management equipment, our Tailgate Lowering Links provide an alternative to the shims that are normally required to provide adequate clearance between the extended equipment and the tailgate. Most shims add 1" to 2" in height to the already 40" plus height (from the ground to the deck work surface) of the cargo management equipment, while our Tailgate Lowering Links allow cargo management equipment to be secured directly to the pickup bed. Why lose anymore bed space than necessary? We have Links for all current Ford, GMC and Chevrolet Pickups as well as most Dodge Dakota and Mazda Pickups. We do not have Links for Dodge Ram, Nissan and Toyota pickups due to a lack of clearance between the tailgates and bumpers. 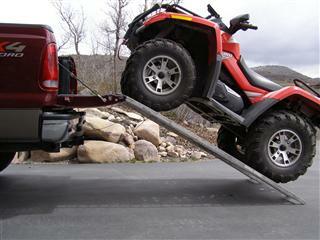 Click here to see the benefits of using Rider Tailgate Lowering Links? The Rider Tailgate Lowering Links are one of six Patented concepts that allow the tailgate to be used in positions other than the conventional open and closed positions. In the not so distant future look for additional products that will allow you to replace your original equipment tailgate cables with adjustable length cables that permit you to use your tailgate in both lower and higher positions. Two of the Six Patented concepts are ideally suited for Original Equipment Manufacturers. To find out more on these concepts, click here for our Patent Info page.